There are many products touted as the most popular skin anti aging treatments, but which one is right for you? Everyone has an opinion, so it can be hard to nail down the most popular anything. 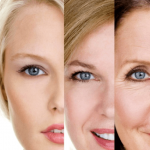 When it comes to anti aging skin treatments, people are looking for some specific qualities. Fewer wrinkles, age spots, crow’s feet, or blemishes. Increased smoothness, elasticity, fullness, or plumpness of skin. The ability to actually fight the aging process by improving skin health. The ability to repair prior skin damage. Because this is such a potentially huge topic, this article will simply cover some basics about popular products and then point you in the right direction to learn more if you choose. Positives: Vitamin E is considered one of the most popular skin anti aging agents, both as an oral and topical treatment. Vitamin E is one of the gold standards of anti aging supplements and has been taken for years by individuals seeking the fountain of youth. Vitamin E is an antioxidant and is scientifically proven to have positive effects on free radicals. Free radicals can attack and damage skin cells, which can age you. Thus, fighting them off with vitamin E can be a good anti aging technique. Additionally, vitamin E will boost immune systems, and good health equals less negative aging factors. 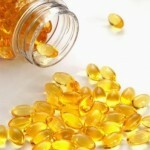 Negatives: Vitamin E is not considered safe during pregnancy. Eating your veggies won’t harm a baby but it’s currently unclear at what levels vitamin E supplements become dangerous to unborn babies. Most doctors recommend not taking more than 400 IU/day. 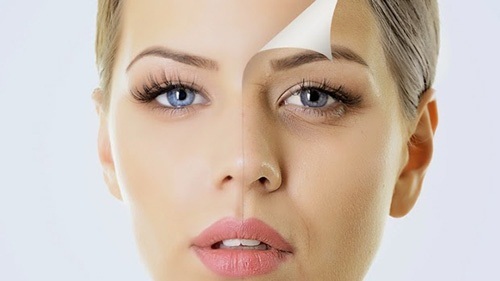 To be completely effective as an anti aging product vitamin E should be taken orally – creams with vitamin E can smooth and add elasticity, but the real true benefits come from pills and not everyone likes to take pills. Main ingredients: This one is nice and simple: vitamin E! Positives: In the ever increasing rush to look younger many people turn to cosmetic surgery. Botox is nonsurgical but can offer some of the same benefits as surgery. Botox is a big wrinkle fighter. Wrinkles, to many, are one of the number one signs of aging that they’d like to fight. This has made Botox increasingly popular. Botox is injected and relaxes the muscles, thus making skin appear smoother and more taut while diminishing the look of wrinkles. Negatives: Botox is good but not all-inclusive. It’s not effective at fighting those wrinkles around the mouth or wrinkles caused by sun damage. Additionally it won’t work for everyone in the same way. Its usefulness depends on personal factors like skin thickness, type, and whether you have truly advanced wrinkling issues. There are some Botox side effects to be aware of as well. Positives: AHA is an anti aging treatment ingredient that’s actually been scientifically proven repeatedly to diminish signs of age and improve the look of skin. AHAs have been shown to improve skin texture, lesson oily skin and blemishes, smooth wrinkles and fine lines, and unblock pores when used properly and in the right amounts. Negatives: They can cause horrid skin irritation. One way to limit this is to only use one product at a time with an AHA. So if you use a skin peel with AHA, don’t also use an eye cream with it. 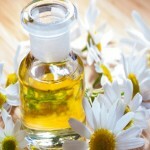 AHAs also increase the negative effects of the already harmful sun rays. When using AHA products, extra care is needed to liberally apply sunscreen. AHAs also need to be absorbed into the skin to do their job so it can be a more timely product to use. For instance, facial cleansers that state they contain AHA are not effective because they aren’t being absorbed – they’re being washed away. Lastly, some people think that a lot of something good is always best. This is not the case when it comes to AHAs. A little goes a long way and if instructions on a cream or peel direct you to use it a certain way, you should. Otherwise, there’s an increased risk of flaking, redness, and general irritation.